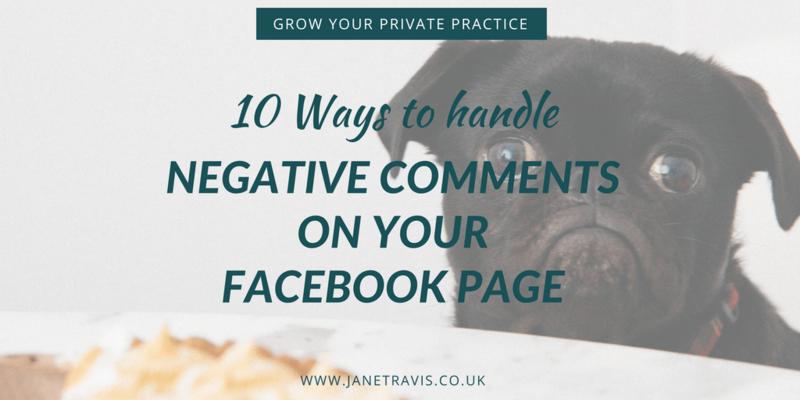 It’s always worth taking some time to consider any investment for your practice, and you may be interested in joining the Grow Your Private Practice Club but have a few worries about whether it’s the right choice for you. So here are some of the most common concerns prospective members have before joining the GYPP Club. Let me introduce you to Kelly. She’s spent a lot of time, money and effort training to be a therapist, has offered her services for free for a while and now feels ready to step into private practice. Like most people, dipping her toe into the unknown feels a little daunting, but the desire to help people is greater than her fear, so she pushes herself out of her comfort zone and starts the marketing process. One day, she is shocked to see negative comments on her Facebook Page. Do you feel overwhelmed marketing your private practice? Swans are beautiful birds, aren’t they? Beautiful - and BIG! Have you ever seen a swan take off? If you have, you’ll know it takes a whole lot of effort - did I mention they are a BIG bird!? First they have to paddle hard with their feet and flap their wings to rise their big body above the water. Then run on top of the water - that's gonna take some effort! Now, they start flapping their wings like crazy to get some lift before they get to the right velocity and start to become airborne. Then there’s more hard work to get some height. Eventually, the whole process becomes easier and their large wings beat, and they fly and glide gracefully. Can you help your therapy clients? Do your therapy clients know how you can help them? So I've decided to hire a personal trainer. I know I’m in safe hands because they’ve trained for years and have a wall full of qualifications to prove it. They have a 6 week program - ‘6 weeks to a trimmer bod’. They know the best, most efficient and up to date methods around - and they motivate you with an interesting mix of something between sergeant major and cheerleader. Have you ever seen the show Room 101? I loves me some Room 101! Hi, I'm Jane, and I'm the overwhelmed therapists secret weapon! 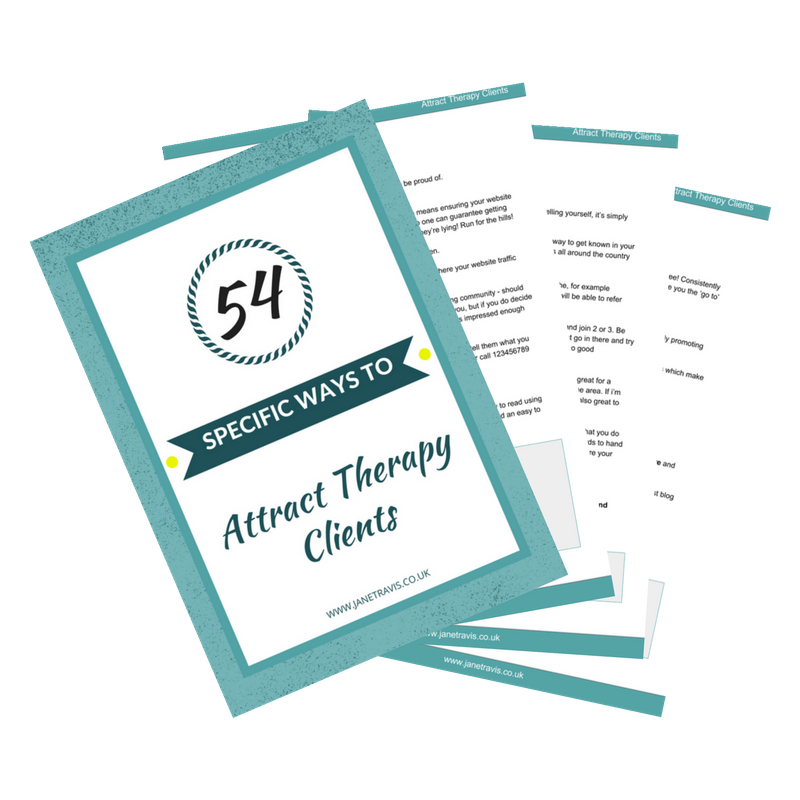 I'm a therapist, and I’ve helped hundreds of other therapists to attract clients by showing them therapist specific marketing advice on how to attract clients ethically, so you can make a difference while getting the income you desire. Take a look around for tips on how to start and grow your private practice. And check out the Grow Your Private Practice Club: our one-stop shop for therapist specific marketing advice, training, workshops and resources, and a place to meet, share, support and connect. Does Therapy Need A Rebrand? Do You Have The Know, Like and Trust Factor? Do I Need A Niche In My Therapy Practice? Should You Offer Therapy Clients A Free First Session? Are You Making It Hard For Clients To Choose You? Download your FREE cheatsheet now!